Haverhill Movers – Moving can be an overwhelming experience. Fortunately you don’t have to go it alone. 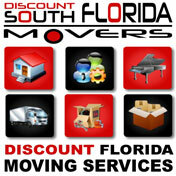 Discount South Florida Movers is here to help you with all your moving needs. We have been serving the area for decades and have built a reputation for service and quality doing so. We also offer the lowest rates around without sacrificing any quality. You will be satisfied with your move, we guarantee it. Whatever your needs are, we have a specialist that can help you. From securely packing your belongings to moving difficult items like pianos and artwork, our experts can handle it all. There is nothing in your residential or commercial move that we can’t do for you. Contact us today to get your no obligation estimate today and see how we can help you with all of your moving needs. Haverhill is a small town in Palm Beach County. This town of 1,500 is situated only a dozen feet above sea level and spans for a little more than half a square mile. Incorporated in 1950, the town derived its name from the town in Massachusetts where many of the original settlers came from. The town is surrounded by unincorporated but is only minutes away from West Palm Beach. Even though it’s small town there’s still plenty to do here. The city park is located in the town and is a favorite spot for the residents to talk a nice stroll or throw a barbecue. They also have their own little league field, Tommy Plyer Baseball Field. There is also a town pavilion that can be rented out for private functions. Discount South Florida and Haverhill movers provide low rates on residential, commercial, piano and long distance moving.